Why should I choose a Husqvarna chainsaw? There are two main reasons: quality and service. 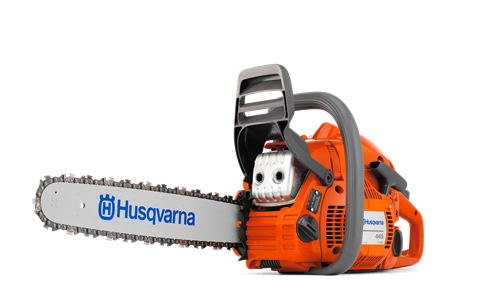 Husqvarna has manufactured chainsaws for commercial use since 1958 and is one of the world’s leading chainsaw manufacturers. Obviously this also benefits you when you buy a chainsaw for leisure use. 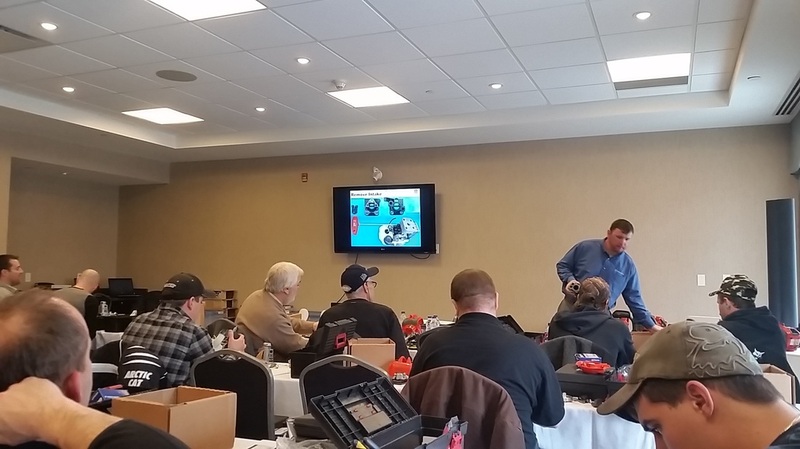 Our products are sold only at qualified dealers by knowledgeable staff, who can help you select the right machine. How do I learn to use a chainsaw properly? 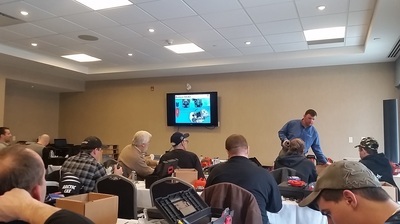 The fundamentals of cutting techniques, safety and maintenance can be studied in the manual of your Husqvarna chainsaw and in various instruction books or films, like the ones offered by Husqvarna. Continuing education and practice can help achieve professional results. I have heard about TrioBrake. What is that? TrioBrake is a unique system developed by Husqvarna to increase the safety of our chainsaws. With TrioBrake, in the event of a kickback the chain brake can be activated in three ways: by inertia and by the user’s right or left wrist. What type of chain oil should I use? Never use waste oil. To maximize the life of the saw bar and chain we recommend our own high quality saw chain oil, optimized for Husqvarna Chainsaws. How do I choose the right chainsaw? You should first consider how often you will use the saw and what you will use it for. For instance, if you occasionally cut firewood and fell a few trees around your home, you may prefer a leisure saw like the Husqvarna 240 e or an all-round chainsaw like the Husqvarna 450. What protective equipment do I need to operate a chainsaw? You should never operate a chainsaw without protective chaps or pants with chainsaw protection, a helmet with visor and hearing protection, boots with chainsaw protection and gloves, You should also carry a ﻿first aid kit a﻿nd preferably a mobile phone. When should I file the chain? Can I do it myself? A sharp chain chews through the wood effortlessly, producing coarse sawdust. A dull chain produces wood dust and requires exerting additional pressure on the saw in order to cut. A rule of thumb is to file the chain each time you refuel the chainsaw. You can do it yourself - resist is to use a Husqvarna file kit. What type of fuel should I use in a Husqvarna Chainsaw? Husqvarna chainsaws should always be run on mixture of gasoline and good-quality 2-stroke oil. If you use Husqvarna 2-stroke oil, which is optimized for Husqvarna’s engines, a 2% mixture is sufficient. Ask your dealer for advice. Top questions before buying a grass trimmer. What is the difference between grass trimmers and brushcutters? A grass trimmer is a smaller, lighter machine, made for trimming the lawn where the mower is unable to reach. Brushcutters and forestry clearing saws are more powerful machines; they can clear high grass, heavy brushwood and small trees. I want to trim the lawn and clear brush. Do I need two machines? You can use the same machine for both jobs if you choose the right model. Many models come complete with trimmer head and grass blade. Combi-trimmers offer flexibility for changes between weed trimming, brush cutting and edging. I live in a quiet residential area where noise can upset the neighbors. Do you have any quiet-running machines? We have models specifically designed for residential use. 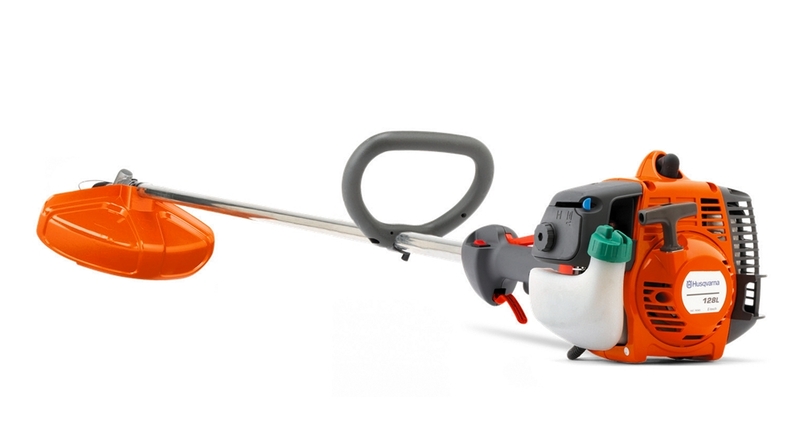 The Husqvarna 122C is designed to operate at lower noise levels than other trimmers. With so many manufacturers, why should I choose a Husqvarna? Husqvarna has manufactured commercial-grade trimmers and brushcutters for decades and has long been one of the world’s leading manufacturers. If you want a quality machine that will give you excellent service for many years, Husqvarna is a great choice. Is it difficult to use a brushcutter? Not with the right techniques. Many Of our products are supplied with ergonomic harnesses that take the weight off your arms, shoulders and back. The fundamentals of operating techniques, safety and maintenance are found in the manual of your husqvarna product. There are also training courses available. Do I need to wear protective equipment? When using a brushcutter or trimmer you should use protective eyewear and a visor, protective trousers and boots, gloves and hearing protection. What type of fuel should I use in Husqvarna grass cutter? Husqvarna grass cutters with 2-stroke engines should always be run on a mixture of gasoline and good-quality 2 stroke oil. If you use Husqvarna’s 2-stroke oil, which is optimized for Husqvarna’s engines, a 2% mixture is sufficient. Machines with 4-stroke engines must use straight gasoline. Ask your dealer for advice. What types of cutting equipment are available? 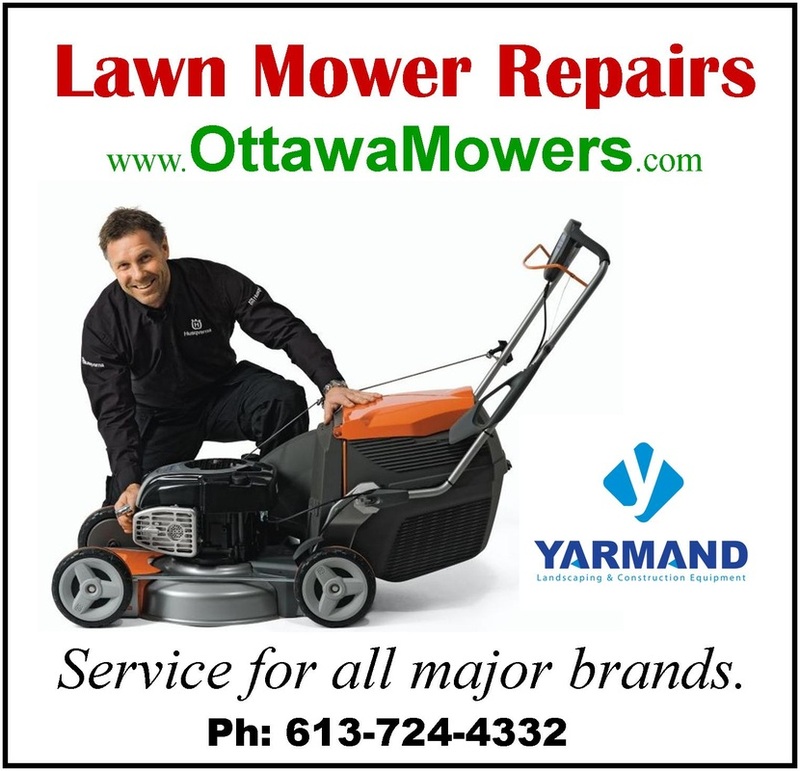 Grass trimmers are used with a trimmer head with trimmer line. Brush Cutters can be equipped with either trimmer head, grass blade or saw blade depending on type of application. 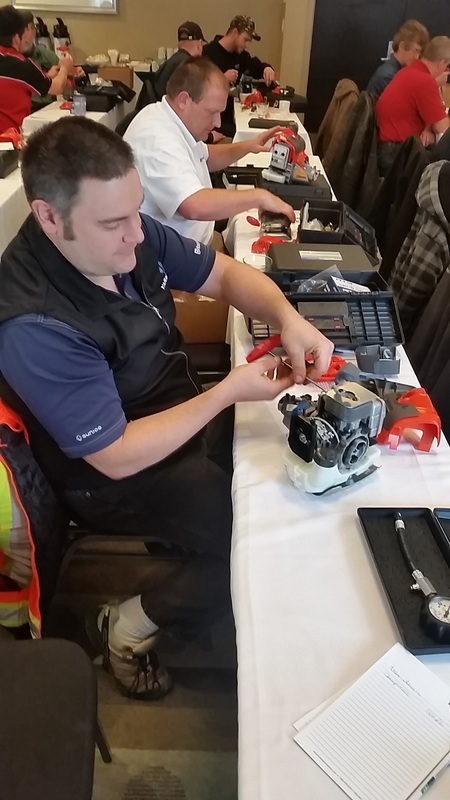 The focus of this years training was the Husqvarna model 525 series of trimmer. > Perform a full tear down of the model 525 powerhead. > Learn about the Revolutionary AWD walk behind mower. > How to work with Battery Operated diagnostics and Battery Operated software and programming. > Introduction to the new 129 series of trimmers. Husqvarna has a long history that is rich in tradition, starting with the very first Husqvarna factory established in 1689. From homeowners to full time professionals, our chainsaws are ideal for anyone who requires first class quality, durability and ergonomics. Take a minute to familiarize yourself with the basic components of the Husqvarna chain saw. They are; the cylinder cover, the starter handle, the air purge, the stop switch also known as the ignition or on/off switch, the rear handle, the choke control or start throttle lock, the fuel tank, the chain oil tank, the throttle lockout, the decompression valve, the front hand guard, the bar and chain, the bumper spike, the chain tensioning screw, the chain catcher, the oil pump adjustment screw, the clutch cover, the throttle control, the combination spanner, the bar guard, the information and warning decal and the product and serial number plate. Fuel problems- How to treat today's fuel? Why do I need pay attention to the fuel? If you buy your gas at a gas station in North America then more than likely what you are buying contains corn-based ethanol. Because today’s gasoline contains ethanol and alcohol, it absorbs water if exposed to air. In many cases the operator is unaware that their gasoline has become contaminated with water and unintentionally pours it into their unit. This is because your fuel mixture will separate into layers if it contains a high enough percentage of water. If you don’t shake your mixture, you may unintentionally pour a damaging concentration of water into your unit. Always vigorously shake the fuel mixture immediately before pouring. Always stabilize your fuel to minimize this problem. Ethanol fuel or ethyl alcohol is an alcohol additive that is commonly used in nearly all gasoline. It is derived from renewable resources such as corn, sugarcane and wheat. We recommend using at least 89- octane which is the mid-grade between medium and premium gasoline. Fuel that is labelled E-15, E-20, E-85 and Diesel fuel are not acceptable fuels and will cause significant damage to outdoor power equipment. If any of these symptoms apply to your equipment, it may require a carburetor overhaul. After carburetor has been overhauled, follow the following preventative steps to avoid the problem in the future. 1. DO NOT use any old gas sitting in your fuel container for more than 30 days. 2. Get some premium (at least 89 octane) fresh fuel. Only get enough for the season. 3. Add fuel stabilizer into the fuel container as soon as you get the gas. b. Add some more fuel stabilizer to the gas tank. c. Run machine for 2-3 minutes to circulate fuel. Store machine safely. If your Husqvarna product is equipped with the two stroke engine, it must always be run using a mixture of gasoline and two stroke oil. When mixing fuel, even small and accuracies can drastically affect the ratio of the mixture, never refuel the machine while the engine is running or is hot from recent use and always make sure your fueling area has plenty of ventilation. After refueling, move the machine at least 10 feet from the refueling point before starting it. Never start the machine if you have spilled fuel on the machine, wipe off spillage and allow remaining fuel to evaporate before use. Never start the machine if you have spilled fuel on yourself or your clothes. Because all engines equipped with catalytic converters must be run on unleaded fuel mixtures, it’s important that you choose good quality unleaded gasoline. Leaded gasoline will destroy your products' catalytic converter, causing it to no longer function properly. While the manual says you can use 87 octane, you should use at least 89 octane in order to prevent knocking, a condition caused by high engine temperature and increased bearing load, sometimes resulting in serious engine damage. For best results, use Husqvarna brand two stroke engine oil that is FT certified. This oil's specially formulated for air cooled two stroke engines. All Husqvarna products use a 50 to 1 mix which means 2.6 ounces of oil are used to 1 gallon of gas. Husqvarna two stroke oil comes in convenient bottles that are easily added to 1 gallon of gas with no measuring required. Never use 2 stroke oil intended for water cooled engines such as TCW3, sometimes referred to as outboard oil. When mixing, never attempt to mix the oil with the fuel on the gas tank on the unit. Always mix gasoline and oil in a clean container intended for fuel. Start by filling half the amount of the gasoline to be used then add the entire amount of two stroke oil. Shake the fuel mixture for at least 10 to 15 seconds; add the remaining amount of gasoline and re shake for 10-15 additional seconds. Next, untwist and remove the fuel cap, pour the fuel into the tank to 80% of capacity. When finished, fasten the fuel cap securely and wipe up any fuel spillage around the unit. Do not mix more than 1 month's supply of fuel at a time, if the machine is going to be stored for an extended length of time, the fuel tank should be emptied and cleaned. Proper lubrication not only extends the life of your Husqvarna product, but it also helps prevent the chain from breaking which could lead to serious or fatal injuries. Start by checking your chain oil. Chain oil must demonstrate good adhesion to the chain and also maintain its flow characteristics regardless of whether it is warm summer or cold winter weather. As a chainsaw manufacturer, we have developed optimal chain oil, use this oil in order to maximize chain life and also minimize environmental damage. If our own chain oil is not available, make sure you use an oil specifically designed for bar and chains. Never use waste oil which can be dangerous to you, damage the oil pump and the machine and also harm the environment. All of our chainsaws have an automatic chain lubrication system on some models; the oil flow is also adjustable. The saw chain oil tank and the fuel tank are designed so that the fuel runs out before the chain oil. However, this safety feature requires that you use the correct oil. If the oil is too thin, it will run out before the fuel. beginning, it is imperative that the chain brake is in disengaged position by moving the front hand and guard towards the front handle. Only a dealer can replace the cover if you remove it while the chain brake is in engaged. Remove the bar nuts and the clutch cover, remove the transportation rings or spacers and discard. Fit the bar over the bar bolts and place the bar in its rearmost position. Place the chain over the drive's bracket; notice the orientation of the chain with the cutter teeth facing forward on the top edge of the bar for it to be installed correctly. Locate the drive links in the groove on the bar, begin on the top edge of the bar and check that the drive links of the chain fit correctly over the drive's bracket and that the chain is correctly located in the groove in the bar. Place the chain adjuster pin in the clutch cover into the hole in the bar then fit the clutch cover onthe unit. Tighten the bar nuts, finger tight. Tension the chain by turning the chain tensioning screw clockwise using the combination spanner while holding up the bar tip. The chain is correctly tensioned when the bottom of the drive link can’t be visibly lifted above bar but the chain can still be turned easily by the hand. Tighten the bar knots with the combination spanner, do not over tighten. When using a saw with tool-less tensioning, turn the hand on 1/2 turn counter clockwise and then use the thumb wheel to tighten the chain. Ethanol fuel or ethyl alcohol is an alcohol additive that is commonly used in nearly all gasoline in the United States. It is derived from renewable resources such as corn, sugarcane and wheat. If you buy your gas at a gas station in the US then more than likely what you are buying contains corn-based ethanol. This gas, composed of 90% gasoline and 10% ethanol is sometimes referred to as ethane. Nearly all gasoline sold in the United States contains ethanol, even if there is not a declaration of ethanol on the pump. What type of fuel to use. Ethane can be used in all current Husqvarna equipment. However we recommend using at least 89- octane E-10 gasoline, which is the mid-grade between medium and premium gasoline. Fuel that is labeled E-15, E-20, E-85 and Diesel fuel are not acceptable fuels to E-10 and will cause significant damage to outdoor power equipment. Look for an indicator at the gas pump to make sure you are making the right choice. Not all states require that the ethanol level to be identified at the pomp. In these circumstances, make sure you do your own research. Because today’s gasoline contains ethanol and alcohol, it absorbs water if exposed to air. In many cases the operator is unaware that their gasoline has become contaminated with water and unintentionally pours it into their unit. This is because your fuel mixture will separate into layers if it contains a high enough percentage of water. If you don’t shake your mixture, you may unintentionally pour a damaging concentration of water into your unit. Always vigorously shake the fuel mixture immediately before pouring. Other ways of preventing problems related to fuel- absorption of water. Purchasing only enough fuel to last about 30 days – this helps assure that you are always using fresh, uncontaminated gasoline For two stroke engines, only mix enough fuel that will be used within the next 30 days. In order to store the fuel with as little exposure to air as possible, avoid containers with vent caps. Look for containers that are airtight and that also provide tight seals around the cap. These are examples of good gasoline containers. Fuel stabilizers can be helpful in extending the life of the product, while also defending against the absorption of moisture. For maximum benefit, fuel stabilizers should be added to your gasoline at the time of purchase. While using the stabilizer extends the life of the gas, a two stroke gas oil mixture with a fuel stabilizer should not be stored for more than 90 days. Using Husqvarna 2 stroke oil will help reduce the risk of engine failure and poor engine performance, by helping to prevent the fuel from becoming stale. Whether you are a professional landscaper or a homeowner, always keep your cap secure on your gas containers between jobs. Even exposing your gas to air for a short period of time will allow it to absorb detrimental amounts of water. Before storing your unit for the season, make sure you drain the fuel tank and run the unit until it’s dry. Most units that were made in the last five years have components that are resistant to the effects of Ethanol. However, older units should never be stored with fuel in them, since the fuel lines could be affected by the ethanol found in today’s gasoline. 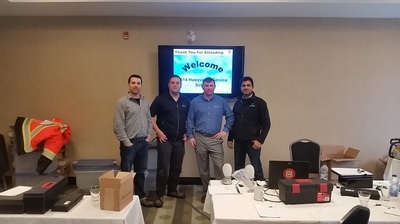 By taking the time to understand the issues surrounding today’s gasoline you are more likely to enjoy your equipment and prevent much frustration.